First of all, hello and welcome to my blog, i hope you like what you see! 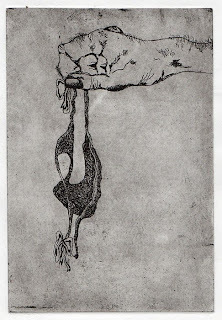 This etching is from a series i did, entitled, 'These are yours'. The illustrations are meant to be slightly awkward, and i really enjoyed etching for the first time.